Plenty to do this week in Greensburg to keep you busy and out and about in town! Have an event coming up? Add it to our event calendar! Hosted by the Westmoreland Cultural Trust, Sip & Strum will start at 6:00 p.m. This week’s focus will be on how to strum the ukulele. The University of Pittsburgh at Greensburg will welcome Colonel Nancy P. Anderson, USMC, retired, on Tuesday, March 19, at 6:30 p.m. in Village Hall 118. Anderson’s visit is part of the campus’ women’s history month activities. In this Meet the Author event, Anderson will showcase her book “The Very Few, The Proud Women in the Marine Corps, 1977-2001” (History Division, US Marine Corps, 2018). This event is free and open to the public. A brief, meaningful gathering at Arthur St. Clair’s gravesite to commemorate his birthday (March 23).The gathering, led by members of the Westmoreland Historical Society, includes placing flowers and a reading of the Hanna’s Town Resolves. No registration required. Please arrive promptly. Born in Scotland, St. Clair immigrated to the American colonies and played an active role in the military and politics. He served as a major general in the Revolutionary War, president of the Continental Congress, and governor of the Northwest Territory. He was among those who drafted the Hanna’s Town Resolves in 1775, a prelude to the Declaration of Independence. He later resided in the Ligonier Valley and was the largest landowner in Western Pennsylvania. He died in Greensburg in 1818. Enjoy a pop country concert at the Westmoreland Museum of American Art! The band Willow Hill will be performing from 6:30-9:00 p.m. There will be food from Elegant Catering, and each Great American Series concert will have cash bar with beer, wine, soft drinks, and specialty cocktails. Pittsburgh’s Best Acouostic Trio – Right TurnClyde (Duo version) makes it’s way to Greensburg for the very first time as hit the Stonewater Bar (a part of the Spitfire Grill). 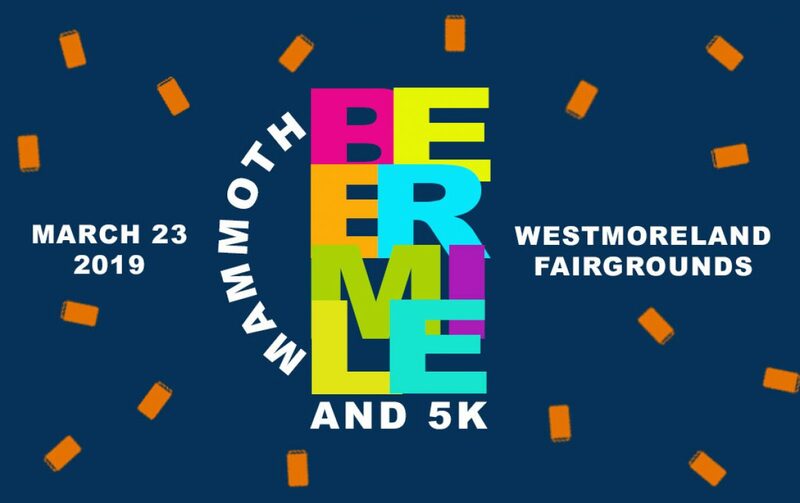 Head to the Westmoreland Fair for the Mammoth Beer Mile & 5K! The event will be from 9:00 a.m. to 4:00 p.m. and presented by Rivertowne Brewing. Drink beer and run a mile! Hosted at Greensburg Hose Company #7, this event takes place from 5:00-10:00 p.m. There will be 2 numbers per ticket, and the tickets cost $20.00 each. Live music with Tom and Brandon at Oliver’s Pourhouse. Join Harrold Schoolhouse Event Center’s grand opening from 4:00-6:00 p.m. Seats are limited, so get your tickets before they sell out! They are $27.00 each.